Spring is officially here. While our local weather has been up, down and everywhere in between, my heart is ready for birds chirping, green buds of new growth on the trees and blooms of color. Mother Nature might be slow to cooperate, but this is the time of year to embrace color, in all of its pastel glory. 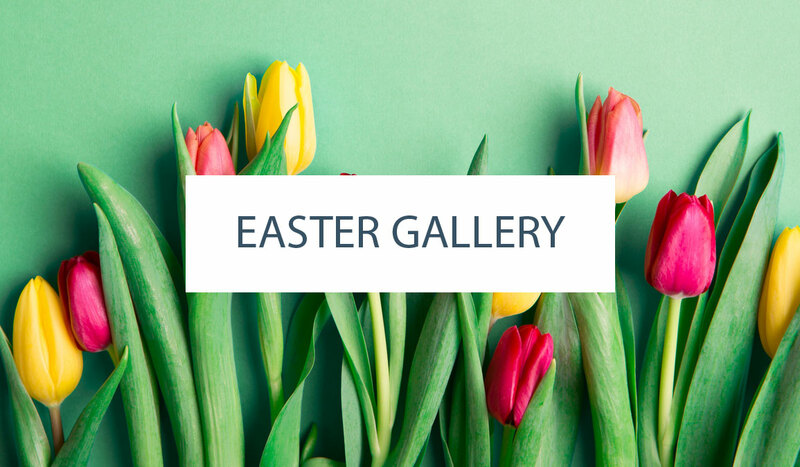 From Easter and Mother’s Day to baby and bridal showers, there’s ample opportunity to dive straight into the lush florals and gorgeous hues that springtime has to offer. 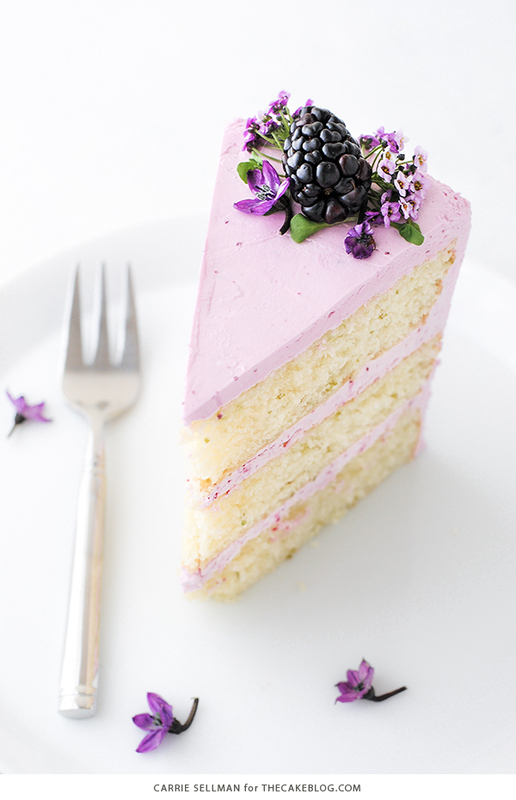 And today’s Blackberry Lime Cake does not disappoint. 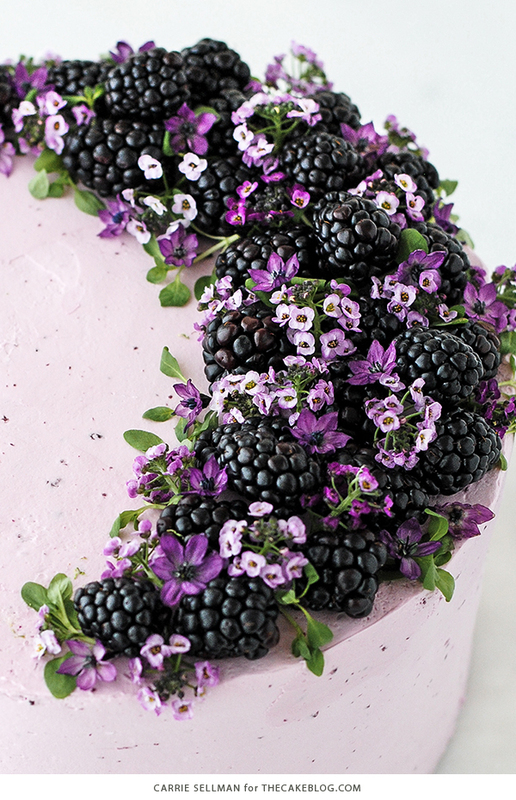 This is cake is a celebration of everything spring. 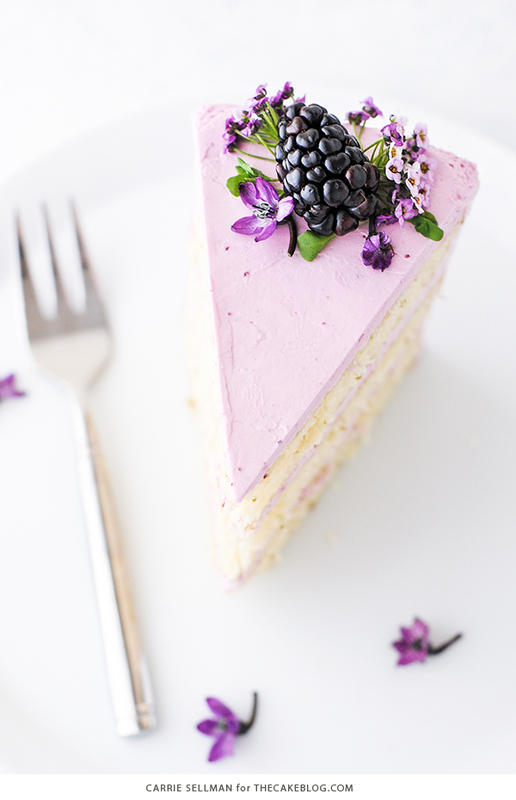 Shades of violet sing as sweetened blackberries meet up with subtle notes of lime, created only with nature’s best. 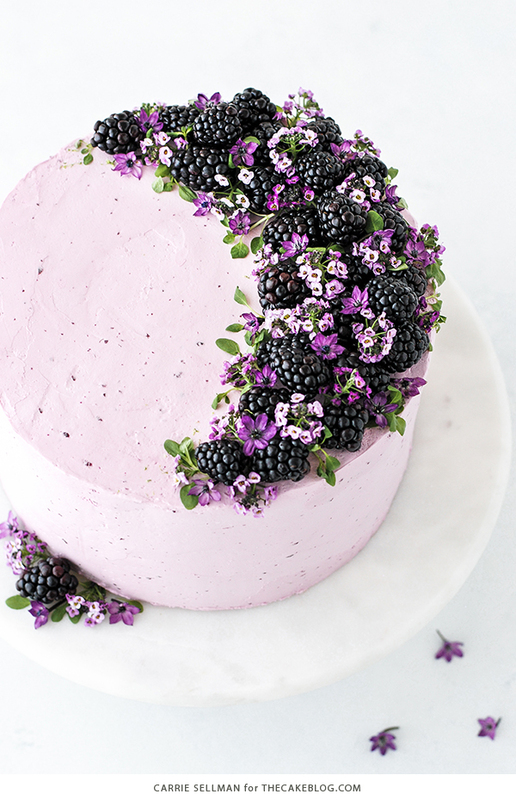 Not only are we decorating with gorgeous edible flowers but we’re tinting the frosting with the pigments naturally found in fresh blackberries. The result is a subtle lavender hue that looks like it came from a bottle but really came from the earth’s bounty. Fresh blackberries are somewhat underutilized in cake baking, probably because of their large size and high water content. If you take a pack of fresh blackberries and toss them into a silky buttercream frosting, you’ll end up with a sad soupy mess. Add fresh berries to a cake batter and they’ll sink straight to the bottom. So we’re taking fresh berries and reducing them down, I’m talking way down, past the jam or jelly stage to really concentrate the flavor. The result is almost like a paste once it sets up. 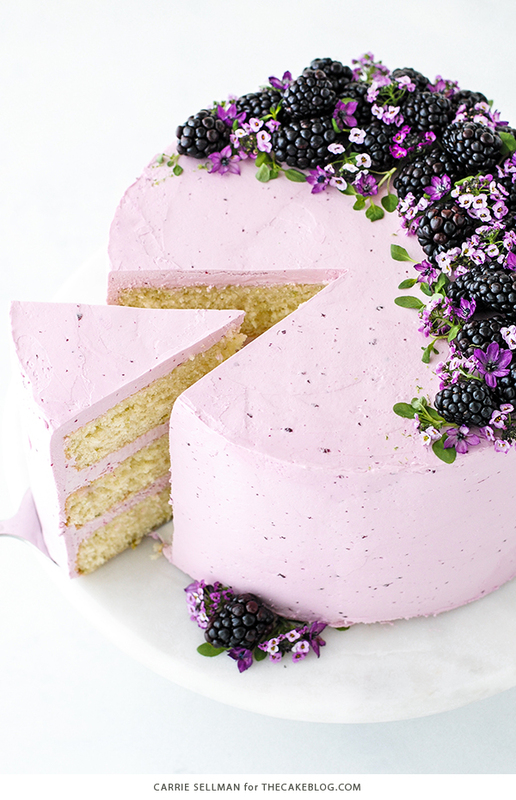 When mixed into our frosting, it clumps ever so slightly, giving a beautiful speckle to the finished cake, which closely resembles bits of broken berry. The end result is not overly tart, nor overly sweet, just delicate blackberry that’s mild and easy to eat. 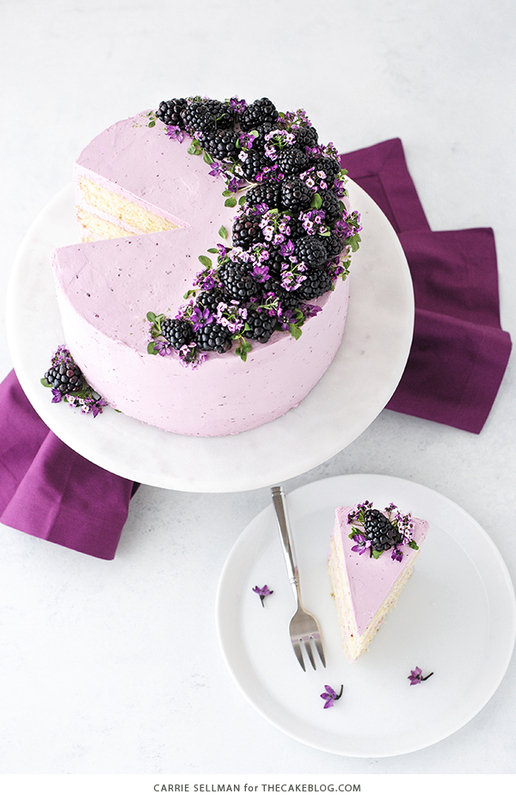 If you really want to amp up the blackberry flavor, slice some berries in half and add them between your cake layers, to get that fresh berry punch. The choice to go big or stay mild is up to you. Either way, this one is definitely worth a go. I’m planning on making this today. But I was curious, can I make into cupcakes instead ?! Yes, this recipe should make around 30 cupcakes, give or take a few. Bake around 17-19 minutes or until a toothpick inserted in center comes out clean. Enjoy! will lactose milk work with cake or even nut milks, i just wanted to know since one of my friends Lactose intolerant, but she will surley eat it anyways, but just in consideration, is there a possibility that there can be a substitute for it? You could certainly experiment with nut milks, but you would also need to replace the butter to make it lactose free. Best of luck if you decide to give it a go! I’m wondering about how long it took you to double-boil the egg mixture or what it looked like for the buttercream frosting? I don’t have a candy thermometer! A candy thermometer is really the only way to be certain that the egg mixture has reached 160 degrees, which is the temperature needed to kill any bacteria that may be present in the egg whites. Most grocery stores, Target, Walmart, etc will have an inexpensive candy thermometer for around $4 to $5. Or you can snag a good one on Amazon. I made this with a different buttercream recipe (just butter, powdered sugar & vanilla) and it turned out much more pink than purple. Is that just dependent on the blackberries or could it be part of the cooking process? Would cooking the blackberry reduction less/more affect the color? My blackberries don’t seem any different than every other blackberry I’ve ever had, so I’m hoping I can do something differently to get the light purple color instead. Thanks! This looks beautiful and I am going to make for thanksgiving. Can I substitute with gluten free flour? 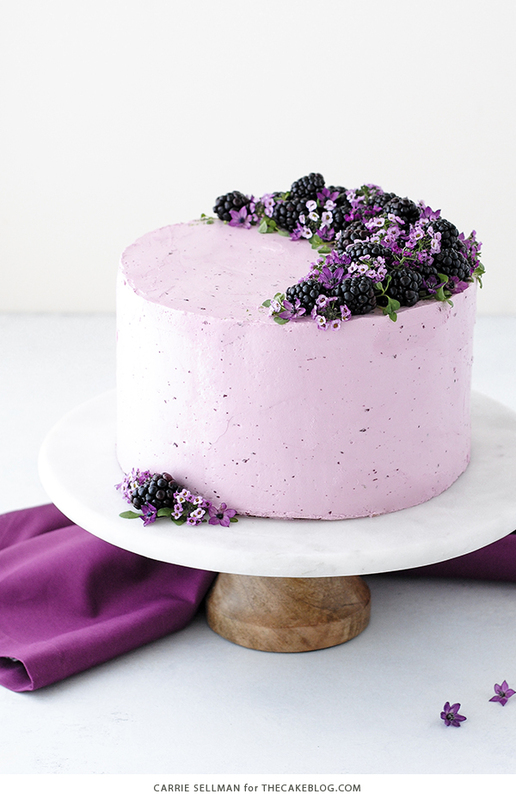 This is hands down one of the prettiest cakes I’ve seen. Absolutely have to make this. It will be worth all the “Out of season prices” I’m about to pay,LOL. Thank you for sharing this. I would like to make this cake for my daughter’s 2nd birthday next month, but I’m afraid it will be too small. Do you have any suggestions as to using bigger round pans, making a sheet cake instead or doubling the recipe? I don’t want to mess up the ingredients and measurements. hi Carrie! I’m making this now for a birthday next week…I’ll be out of town until practically the last minute. 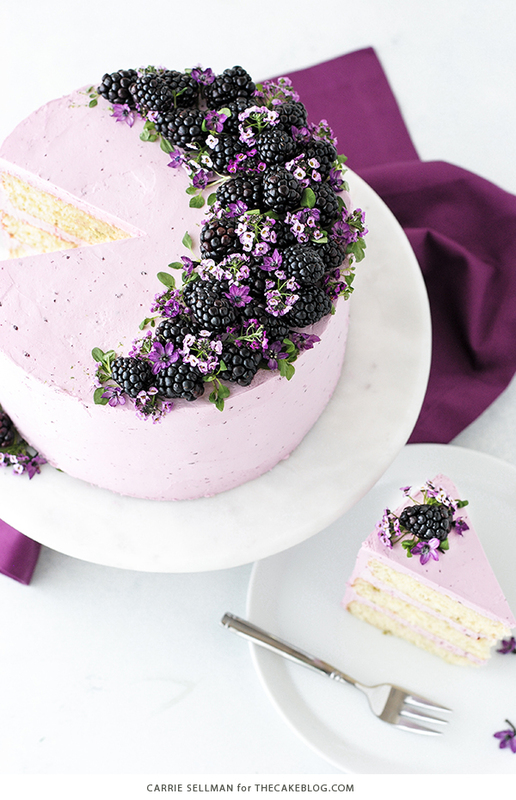 I’m planning to freeze the cake and blackberry reduction and make the buttercream fresh that day. As I’m making the reduction, it looks very pink, and not purple. Was that your experience too? 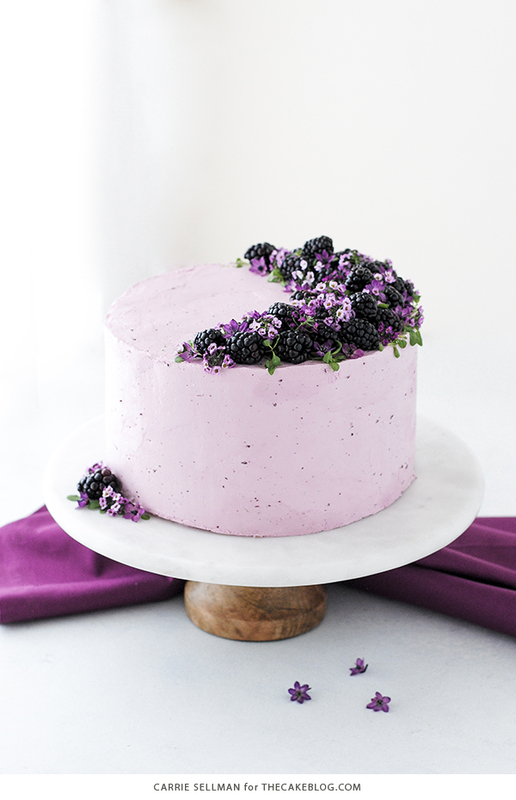 And when added to the buttercream it actually is purple? I’m hoping…it’s for a guy who loves purple! Pink won’t give the same experience! Thank you! I always like to make my own birthday cake. 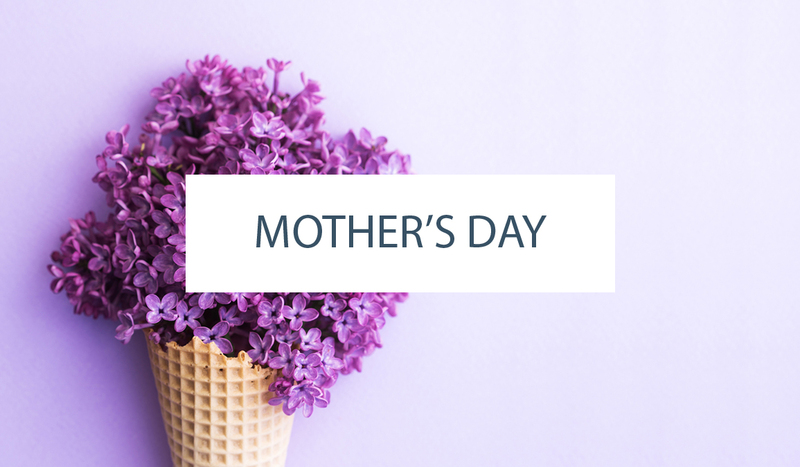 (Doesn’t matter if the celebration will be a big to-do or not.) Decided to take a little stroll online for a special recipe for my 33rd year. Came across this little gem. It’s so simple & beautiful, stopping me in my tracks. The flavor combination just whispers, delightful. It’ll be my first time making Swiss buttercream. Just made this for my sons birthday party. I switched blackberry and lime to raspberry and lemon because that’s what was more readily available and the flavors still worked great. The cake was so smooth and moist. This is also my first time making Swiss buttercream and it was sooooooo goooooood. Very happy with the way it came out! One of my guests said it was the best birthday cake she had ever had! Fun recipe, thoroughly enjoyed making and eating! Thank you for the feedback Patrice. Raspberry and lemon sounds delicious! Happy that you’re happy! Can you convert this to Gluten Free? I haven’t personally made this recipe gluten free, but you could certainly substitute your favorite gluten free baking mix for the all-purpose flour. Let us know how it goes! It’s a wonderful cake! How much would you sell for it appropriately? It’s sale price. Sorry Dana, I’m not sure what this cake would sell for. This cake is adorable, and you have decorated it in such unique way. Can this be substituted with gluten free flour? I’m glad to hear you enjoyed the flavor! It could have turned out a little dry due to a heavy hand when measuring the flour, the oven temperature being a tad off (read more about that here) or even just a few minutes extra on the baking time can really make a difference (see our experiment here). Hope that gives you some ideas to troubleshoot for next time. I made this tonight! I wasn’t entirely happy with how it came out and had a couple questions for when I try again next week. 1. What consistency should the blackberry reduction be when done? Mine was quite liquidy, very liquidy. 2. What should the reduction taste like? More tart or more sweet? Mine was quite tart and I was wondering if that was because the blackberries themselves were a bit tart. Any suggestions for how much sugar to increase, if using tart blackberries? 3. I had a hard time with the frosting, mine was too liquidy. I had to use a hand mixer as I don’t have a stand mixer. Does that affect the mixing time? I tried putting it in the fridge for about 15 minutes and it only seemed to help just a bit. I haven’t made many frostings yet, I struggle with them! 4. If I had extra blackberry reduction (and was happy with taste/consistency) do you think could I freeze it and use it the next time I made the fake? Delicious.. I like chocolate in it.. with pink coating.. Mouthwatering isn’t it? But the idea of decoration with blackberry was awesome..